This study will define the problem, identify and evaluate alternative solutions to the problem, evaluate alternative design concepts for the solution, recommend a preferred design concept and assess potential impacts and identify mitigation measures associated with the preferred design. This exciting project is being evaluated by Brampton staff. If you weren't able to make it out to the PIC Meeting on February 23, it's no problem. The panels and design alternatives are available online. One of the design concepts, particularly noteworthy for cycling modal share, is "Design Alternative 2". • Space for a "Market Zone"
• A raised Bicycle Lane, separated by automobile traffic by a curb/gutter. 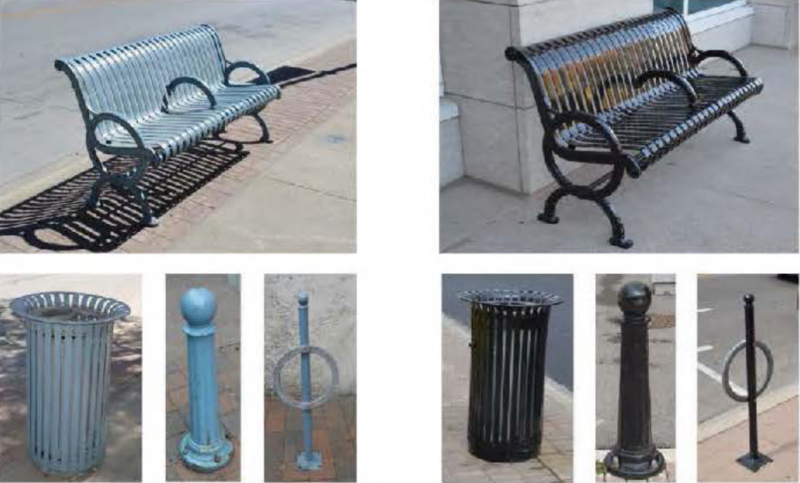 Other noteworthy considerations are around the Downtown Outdoor Furniture, including cycling "ring and posts", and other amenities to support cycling. Perhaps a repair station?